My crazy wanderlust has me winging it to places both near and far (Sonoma! Cabo! Antigua!) in the next few weeks. And for these travels, I'll be packing this new stylish yet immensely practical (under $100!) 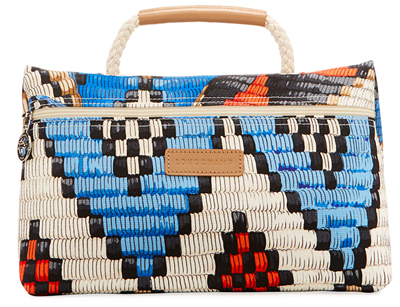 Longchamp makeup bag that doubles as a wear-everywhere clutch. Also coming me with across various time zones: this indestructible yet sleek-looking Away suitcase, recommended by a jet-setting friend (it can be hand-painted monogrammed, Goyard style, or embellished with these cute letter stickers); this super hydrating, glow-inducing True Botanicals Nutrient Mist (I'm obsessed with this stuff! ), and these miracle-working, post-flight bloat-reducing probiotics by The Nue Co.